The Guy Nader | Maria Campos quintet in Time Takes The Time Time Takes was the performance that we have been waiting for. A brief history of time, mechanical and otherwise. The English word ‘clock’ is derived from the Middle English ‘clokke’, Old North French ‘cloque’ or Middle Dutch ‘clocke’, all of which mean ‘bell’. Bells were used to mark the passage of time. The verge escapement is the earliest known type of mechanical escapement and is the mechanism in a mechanical clock that controls its rate by allowing the gear train to advance at regular ticks. This caused a shift from measuring time by continuous processes, such as the flow of liquid in water clocks, to repetitive, oscillatory processes, such as the swing of the pendulum, which had the potential to be more accurate. The history of time has been narrated by men and the telling of time has also been inscribed by men—Ptolemy, Copernicus, Galileo, Kepler, Newton, Huygens, and Hawking. Fast forward to today, TTTTTT has been forged in the male and female eyes of Guy Nader and Maria Campos, by an ensemble of the two choreographers and three other dancers based in Barcelona, who “have collaborated together since 2006 developing strategies and tasks in order to provide the body a distinct image and perception”. They succeed and fail in this distinction. 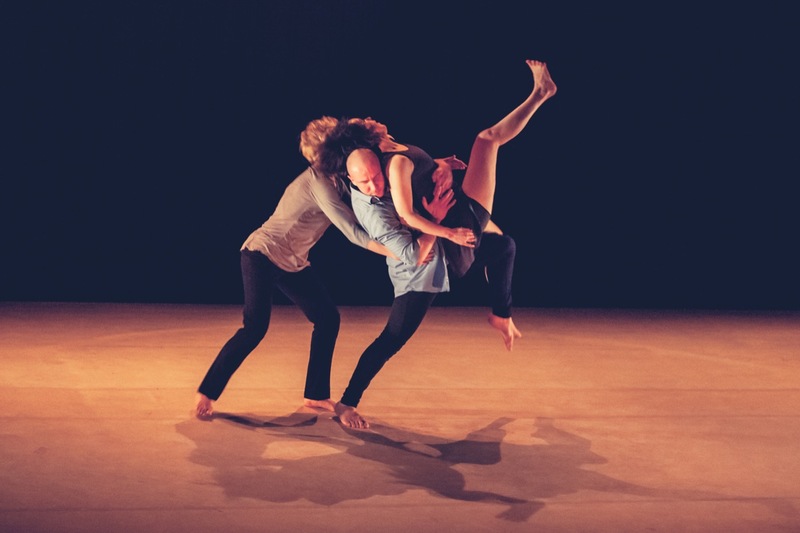 Those familiar with contact improvisation and contemporary dance will see a lot of existing exercises knitted together to create short phrases of movement masquerading as choreography. However it is their combinatory choices, how sections and energy flood, repeat, and bind together that provides distinct images. Themes of fluidity and change are pervasive through the piece. Fluidity in movement, time, balance, and relationships are mirrored in the flexible roles of dancers. The work is neutral but not indifferent to the gendered bodies on stage. While the five fairly similar costumes imply neutrality, the choreography does not attempt to provide absolute physical equality between bodies. All five dancers lift and get lifted. That said, the men and women do not necessarily do the same lifts. They acknowledge differences but do not excuse them. In TTTTTT, control is held by the musician Miguel Marin—a sitting drummer with a depleted kit but with the addition of an electronic sound palette. Rather than acting as a metronome, Marin is the driving force. While acknowledging the ever-present musician, it is also important to note that the two female dancers on stage are almost constantly moving throughout the piece. Maria Campos forms the connecting thread, a malleable constant. At certain points, one or two men watch from the sides, but the women—even though they do have quieter moments—do not ever retreat to the periphery. In such a small company, this detail is amplified. Perhaps this choice is a conscious expression of the woman’s ceaseless function in society. The choreographers are responding to the skewed history of time, which favours men, by making women equally prominent. Other than this, gender-based differences in the performance do not really stand out. The performers are primarily human, charged particles with well-defined tasks and seamlessly fluctuating roles. For sixty minutes our eyes are constantly fed by motion and stillness; an unceasing and merciless presentation of velvet lined movement. Spines kissing thighs, ribs nesting under armpits, and ankles cradled by palms. The performers make up the pliable cogs of shape-shifting machines, moving between rocking, ticking, swinging, and stillness; they are pieces in a game of three-dimensional Tetris. The sheer functionality of the movement in the work is extremely compelling. The dancers’ intentions are direct and clearly driven by task. They constantly negotiate and respond in the present and move through buoyant sculptures like clockwork. The choreography ruminates on motifs, whether in stillness, nuanced shifting, or assertive repetitions. At the heart of TTTTTT is play. 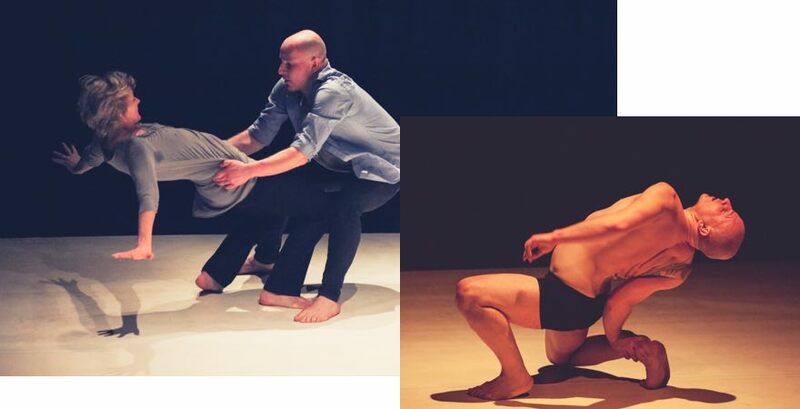 The choreography is a form of calculated contact improvisation. The dancers feed off each other’s energies and they never mime touch and never touch mime. Amongst the cast of five dancers we find balance, intricacy of touch, and sustained contact work that echoes the internal workings of the Breguet 160 (the world’s most expensive pocket watch). In the jumping shoulders, complicated limbs, and intimacy of the Ranga Shankara theatre we notice miniature errors. Misplaced hands struggle to find wrists to bind at first grasp, the muscle tremors as one bears the weight of two at awkward angles. We see the dancers’ eyes already preparing for the next two moves. It is here where TTTTTT resides. The dancers are not always in our present, but in their future—preparing for the next move and the safety of the next configuration. Concentration is etched on their faces while their bodies remain soft and pliant, ready to receive or eject the next touch. The constant shifting and negotiations between performers reveals a vulnerability, which has the simultaneous effect of inviting the viewer in and heightening the anticipation of watching the dancers’ precarious suspensions and explosive leaps. 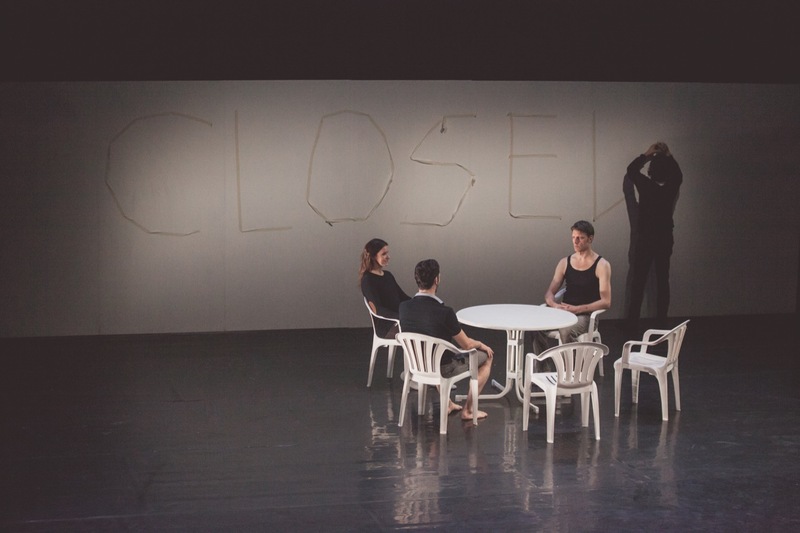 The dancers’ vulnerability is also evident in how, as the piece progresses, their energy reserves start to dwindle and they do not try to mask this change. 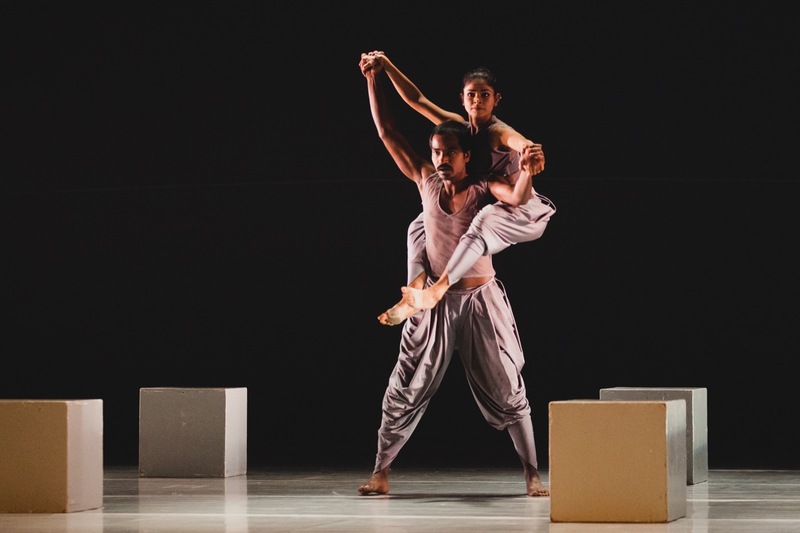 Recurring images in the piece sear themselves in our memories, reminding us that the dancers change physically, emotionally, and energetically from beginning to end. The remembered residues are with us three days later. The work leaves itself on your skin, fills your eyes, and rumbles amongst the internal mechanisms of our minds. The dynamic energy and the familiar, temporal themes resonate in the abstract work and in our memories. Encounters are real. Time continues and these dancers are living. 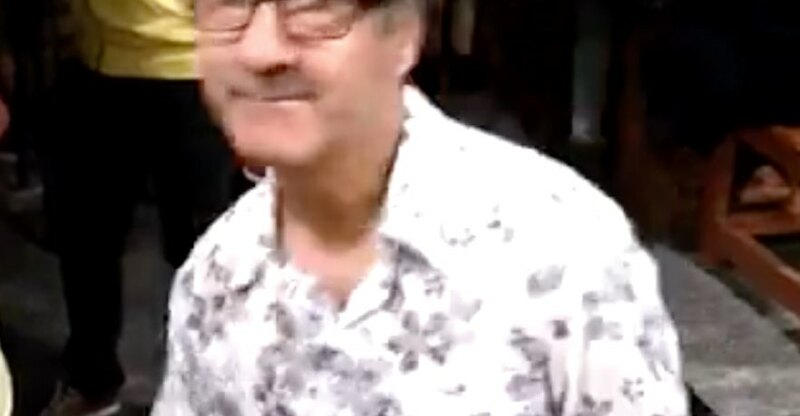 Ian Abbott is a producer and writer based in Scotland. He likes to make things happen using dance, words, art, and books. He can often be found rummaging in alternative fields of thought to translate, repackage, and enhance existing models. Twitter handle: @TheGeometrician.